MC5 KITT – will it join variation royalty? 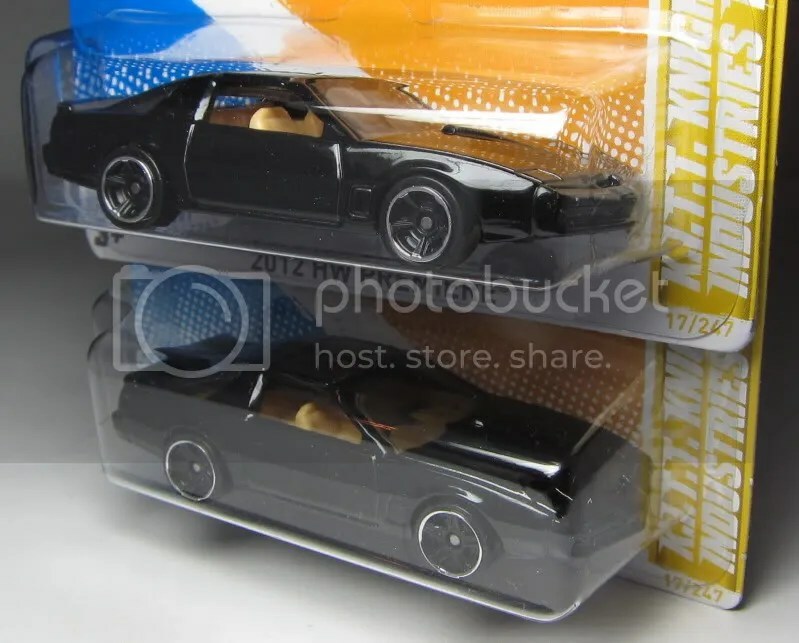 There are a few Hot Wheels variations that get royal status. A few come to mind: Pink Bedlam, FTE Flamed Charger, Silver Lincoln, etc. One other is the 5-hole Batmobile. The casting was ridiculously popular, so it went without saying that the 5-hole wheel variation garnered a ton of interest. It still fetches hefty prices on ebay, in the rare occasion one is listed. We might have another. This year the new Knight Rider KITT casting has been flying off the pegs. The casting is great, well detailed, and for anyone who grew up in the 80’s, a must have. So it would make sense that if a vari appears, there might be a little interest in it. Enter the MC5 KITT. 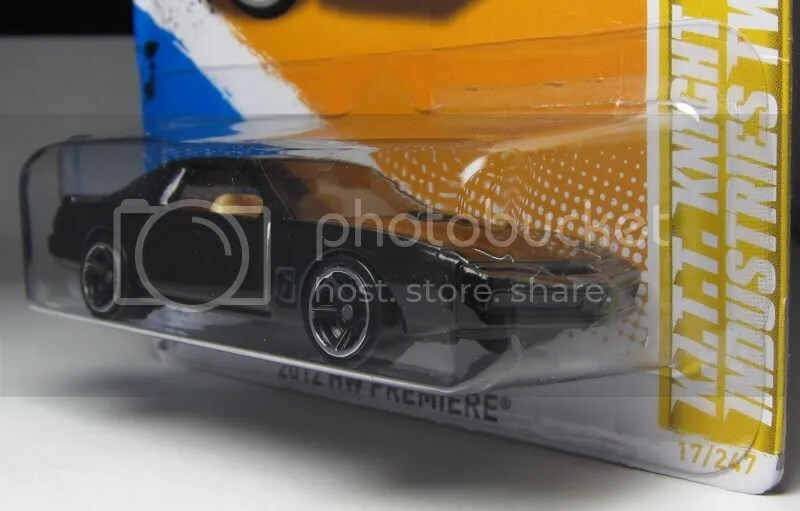 The casting has sported PR5 wheels, with the exception being two MC5 versions found by HWC member quikblu91z28 a couple of weeks ago (and documented on the blog). Both came from the same international-card Safeway shipper in Illinois. A few mismatched MC5/PR5 versions have been found in the same Safeway shippers, including a couple by everyone’s favorite HWC vari collector, 1.eyed.jack. Thanks Jeff for the trade! Hi. This is Luiz, from Brazil.First, great blog. Your pictures really capture the beauty of these small treasures. Just added you to my Google Reader list.Second, i've found A '71 Dodge Challenger from the 2012 HW mainline with no decals at all yesterday. Take a look: http://www.flickr.com/photos/luizcomze/7217613168/in/photostreamWould you be interested on owning it?Cheers! Oh… I just noticed that the car's name on the base is misspelled 'Chellenger', as well. Looks like the 2012 casting came with this mistake. Check The Production Code, Mine Says E02. D51 on mine. Where did you find yours? Sorry… are you talking about the Challenger i mentioned or he K.I.T.T. in this post?If it's the Challenger mispelled Chellenger, the code on mine is E02 too.